Hello! I know there has been a huge delay in posts, with finals, winter break and everything else the blog got put on the back burner. I’m trying to start but up again and have a simple and easy DIY for you! This has been my favorite candle for a while and as I was enjoying it a few days ago, it burnt out. There was still plenty of wax left but the wicks were gone. I could have easily thrown it out a moved on to another but I thought I’d try to restore it instead! Luckily, this worked amazingly well and now my candle looks like new. 1. Fill a pot large enough to fit your candle with a few inches of water. 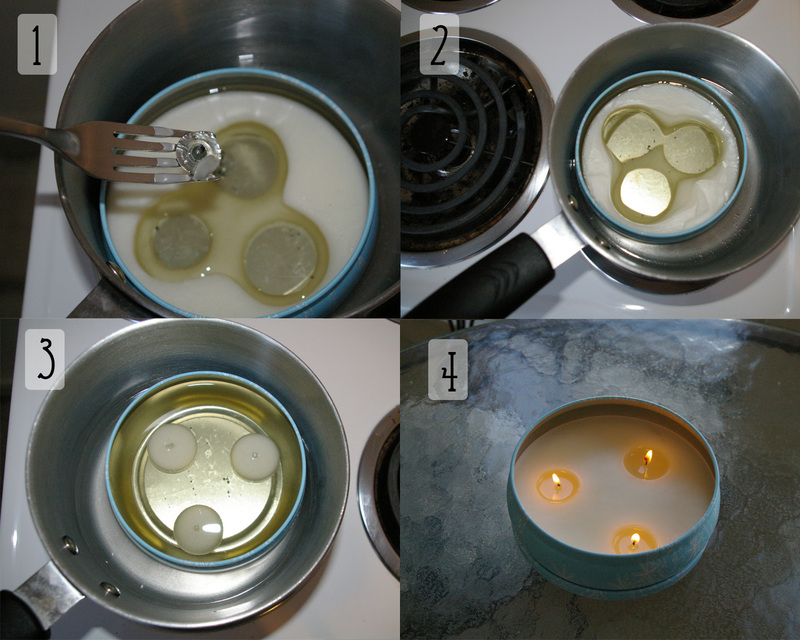 Place candle in water and allow to simmer. The wax will begin to melt down pretty quickly and remove the old wicks when you can. 2. Continue to melt the wax. 3. 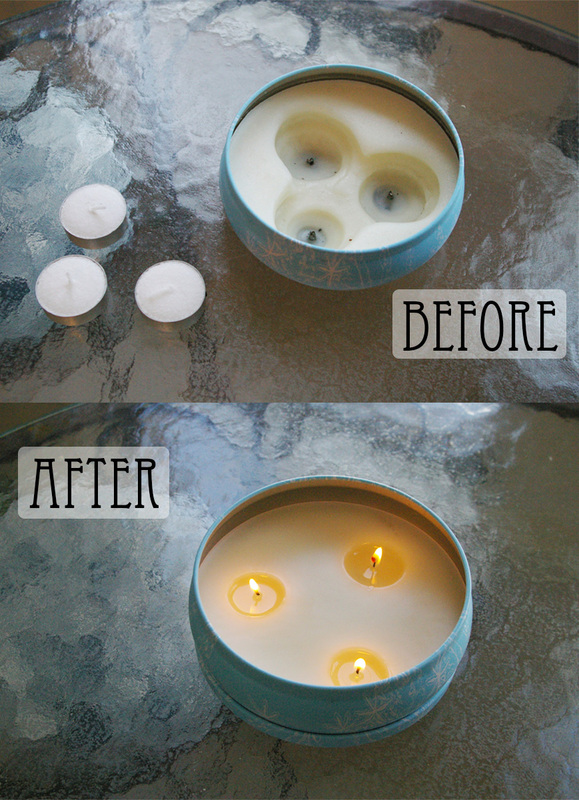 Remove from heat and place votive candles (with metal bottom removed!) into wax evenly distributed. I used a silicon tongs to hold onto the wick and slowly place it into the wax. 4. Light your finished candle and enjoy:)!